If you have many images stored on your hard drive, it is possible that you may need an application that will help you to manage, edit and convert them to other formats to be able to share them more easily. 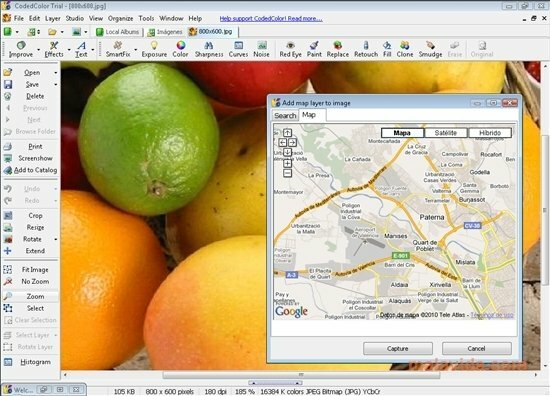 CodedColor PhotoStudio is a professional looking application with which it is possible to apply some changes and organize all the files that are stored on your computer. The program is compatible with the BMP, WMF, GIF, JPEG, JPEG2000, TIFF, PCX, PNG, PSP, PSD and PSD formats, as well as many RAW files. - Functions to organize, resize, crop, compare and convert practically any image file. - Tool to add watermarks and apply filters. - Capacity to create web albums and panoramic images. To be able to control each one of the tool that the program offers it is necessary to have some knowledge about digital image editing and photograph handling. 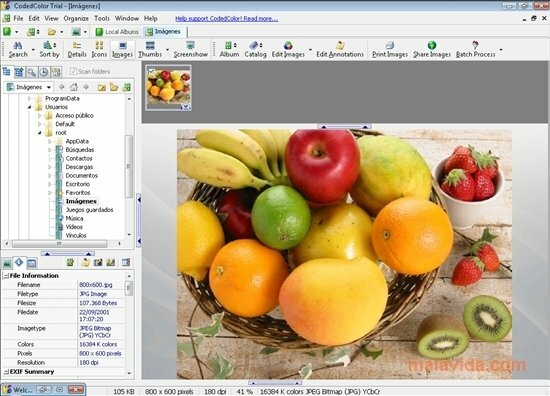 Discover CodedColor PhotoStudio and start to work with on to the most versatile image editing tools. Note: The trial period lasts for 30 days.